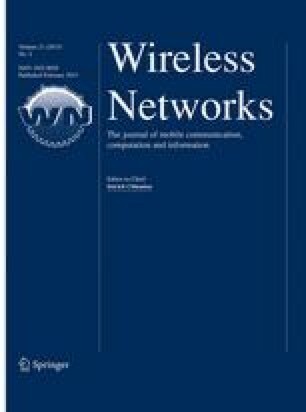 Localization and synchronization are fundamental services for many applications in wireless sensor networks (WSNs), since it is often required to know the sensor nodes’ position and global time to relate a given event detection to a specific location and time. However, the localization and synchronization tasks are often performed after the sensor nodes’ deployment on the sensor field. Since manual configuration of sensor nodes is usually an impractical activity, it is necessary to rely on specific algorithms to solve both localization and clock synchronization problems of sensor nodes. With this in mind, in this work we propose a joint solution for the problem of 3D localization and time synchronization in WSNs using an unmanned aerial vehicle (UAV). A UAV equipped with GPS flies over the sensor field broadcasting its geographical position. Therefore, sensor nodes are able to estimate their geographical position and global time without the need of equipping them with a GPS device. Through simulation experiments, we show that our proposed joint solution reduces time synchronization and localization errors as well as energy consumption when compared to solutions found in the literature. This work is partially supported by FAPESP (processes 2012/22550-0 and 2013/05403-66), CNPq, CAPES, FAPEMIG (process APQ-01947-12), and the Natural Sciences and Engineering Research Council of Canada (NSERC). Mica2 crossbow technology. Mica2 DataSheet. Document Part Number: 6020-0042-0. Resource document. http://www.eol.ucar.edu/isf/facilities/isa/internal/CrossBow/DataSheets/mica2.pdf. Accessed 2 Aug 2014. Micaz crossbow technology. MicaZ DataSheet. Document Part Number: 6020-0060-04 Rev A. Resource document. http://www.openautomation.net/uploadsproductos/micaz_datasheet.pdf. Accessed 2 Aug 2014. Distributed Computing Group, ETH Zurich. Sinalgo: Simulator for network algorithms. http://dcg.ethz.ch/projects/sinalgo. Accessed 2 Aug 2014.